Today is Bob Dylan’s 70th birthday. 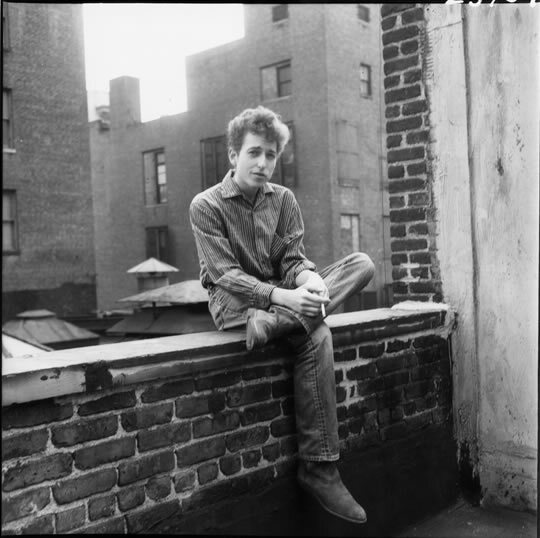 There’s a ton of Dylan-related stuff (not to mention our recent Dylan-themed marathon), but this blog post by John Bennet from The New Yorker in particular strikes a chord with me. Sunday, the last day of the Marathon, I co-hosted this show with Rebecca. We had a great response. Thanks to all who pledged throughout the Marathon. And, remember, you can still pledge online. WTJU will have 71 candles burning for the 2011 Folk Fundraising Marathon, May 9-15 on 91.1 FM and WTJU.net. We’ll light 70 of them for Bob Dylan’s Birthday Bash. In addition to playing a wide range of covers and original material, as well as exploring interesting tidbits about the grouchy bard, we’ll delve directly into his source material—old time country, British folk, rhythm and blues, early rock and roll and gospel. You know, the kind of stuff you used to hear from Emmett Boaz on Leftover Biscuits. For our beloved, late Emmett, we’ll keep one big eternal flame burning. His extensive musical knowledge and unique personality will be so missed during our exploration of Folk and Roots music, and his great cooking will be missed at the party afterward. You’ll hear his voice and be reminded of his considerable contributions to WTJU when we rebroadcast recordings of some of his shows and shape shows with him in mind. Listeners may not realize that federal rules about radio streaming on the internet prohibit us playing shows of all one artist’s recordings. No more entire shows dedicated to Tom Waits, Nanci Griffith, Willie Nelson, Townes Van Zandt or Neko Case. But we can still have fun playing songs written by one person, so you’ll hear Neil Young covers, Johnny Cash covers and tons of Dylan covers in all flavors of Folk and Roots music. Help us celebrate Dylan’s birthday and honor the memory of Emmett with a gift to WTJU by calling 434-924-3959 or making a secure on-line pledge at WTJU.net. You can feel proud of the breadth and range of music that can only be heard on WTJU, 91.1 FM and WTJU.net. Here’s the program schedule. You can click on the headphones next to each description to hear the on-ar show program. We advance beat by beat, thought by thought, pattern by pattern, until the humanity of the drum covers the world. Lend ears to this project for special programming on global drumming and percussion as part of the WTJU folk music marathon. 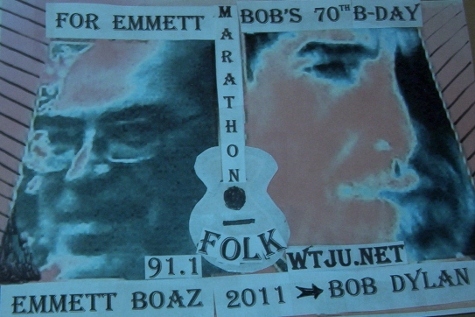 On his Time Out of Mind album, Bob Dylan sings, “I’m sick of love, but I’m in the thick of it.” And we’ll be in the thick of the WTJU 2011 Folk Marathon. So we’re playing Dylan love songs, mostly of the heartbreak variety, from “Rainy Day Woman” to “Simple Twist of Fate” and, of course, “Love Sick.” You’ll hear a few from the 70th birthday boy himself, but also interesting interpretations from some you may already know, such as Joan Baez and Judy Collins, and some you may not, such Barb Junger, June Tabor, Cassandra Wilson, Sophie Hawkins and Maria Muldaur. We promise we’ll break your heart if you promise to pledge to WTJU! Even though there have been a huge number of stars in the world of popular music in the past century, only a small number qualify as the essential musicians who defined 20th-century music. Professor Bebop will showcase ten who have had an indelible impact on roots and popular music. You can augment this list with your suggestions AND your pledges! OK, just to start your thinking: One of Bebop’s ten is Chuck Berry. There’s a lot of great shows. Listen to ’em all. Pledge to ’em all (well, maybe at least one or two). Thanks for your support! 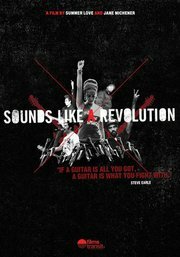 Sounds Like a Revolution is a feature documentary about a whole new generation of activist musicians who are living proof that music is an important and powerful tool in the ongoing struggle for social change. WTJU Folk & Roots Marathon Promo Video from Jacob Canon on Vimeo. 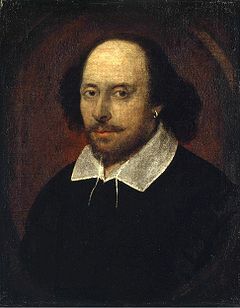 It’s Shakespeare’s birthday (well, actually no one is sure when he was actually born, but his baptismal certificate was issued on April 26, 1564) and we’re celebrating. I talked over “The Wedding March” by Mendelsohnn from A Midsummer’s Night Dream (and congrats to the Royal Couple, though why we should care I’m not sure). I also talked over Moondog’s “Shakespeare City.” About 90% of tonight’s material came from CD, RIP Norio Ohgo, inventor of the CD.